Hey everyone! Roree here with today’s Inspiration Station post and I have a beautiful project and some fun products to share with you from our new brand, Keep It Simple. “I like making simple yet high impact cards. 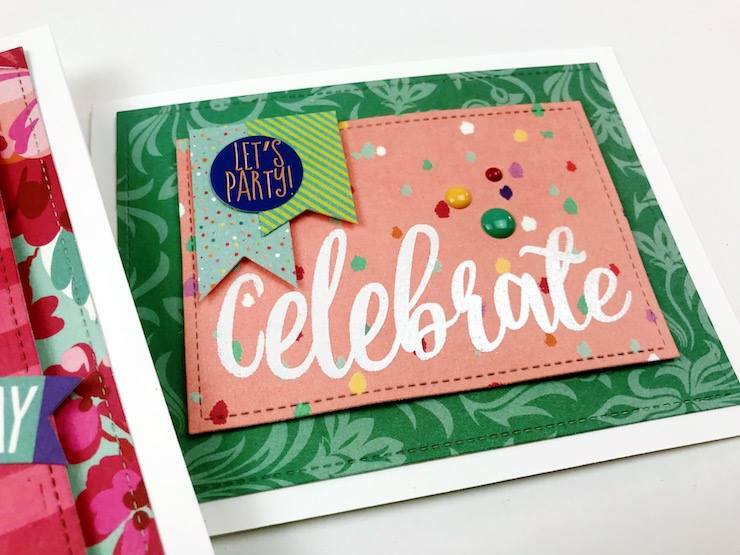 The Celebrate the Little Things collection made it super easy to make stunning cards in just minutes. Panels were created using the coordinating patterned papers from the kit, along with stickers, die cuts, and enamel dots. These cards are sure to make anyone smile!Aren’t they cute?! Thanks so much to Victoria for sharing her gorgeous work with us! 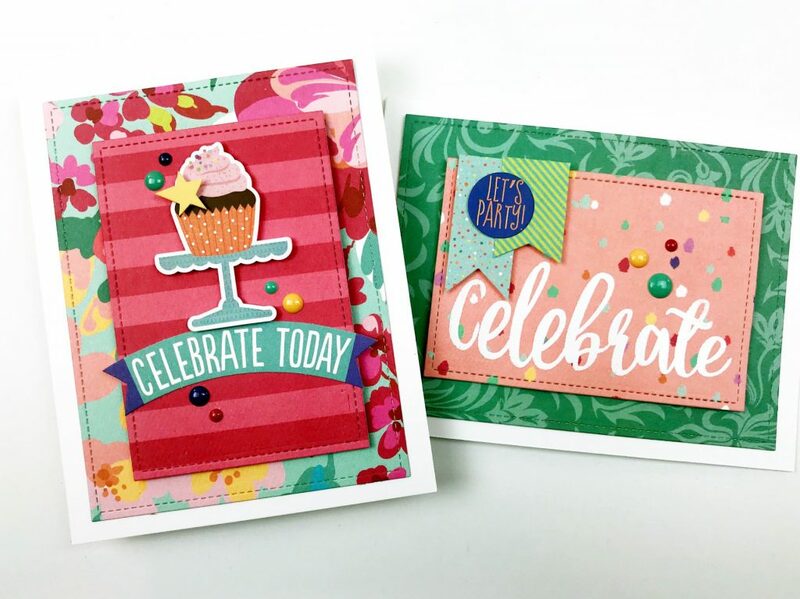 Victoria used papers and stickers from the Collection Pack to create her cards, as well as Enamel Dots and Ephemera. 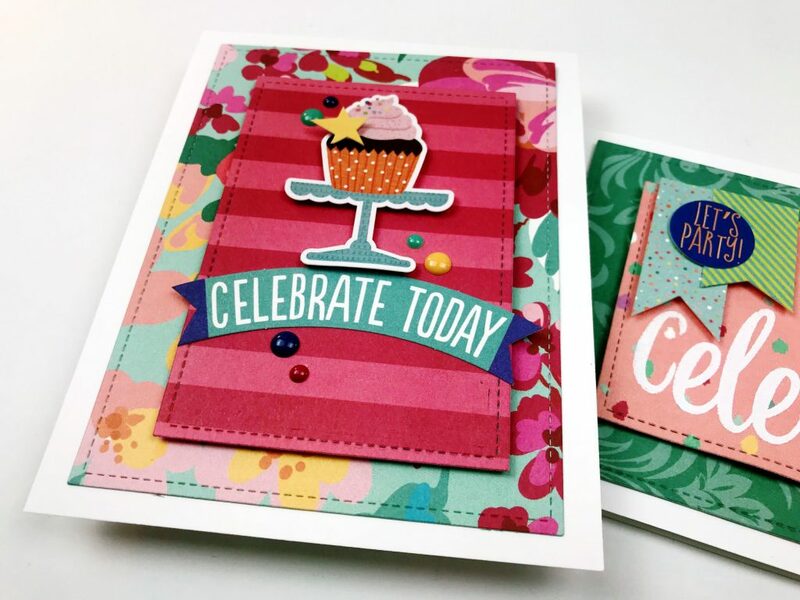 This collection is perfect for crafty-themed cards, layouts, projects and more! And there are more great products in the collection such as Chipboard Words, Washi Tape, 4×6 Stamp Set, and Travelers Notebooks. Be sure to check out the Celebrate the Little Things collection (plus our other new collections) at the Keep It Simple website. I hope you enjoyed today’s Inspiration Station project. Thanks so much for stopping by! This entry was posted in Card Making, General Crafts, Keep It Simple, Manufacturers, New Releases, Paper Crafts, Stamp & Scrapbook Expo and tagged cards, celebrate the little things, Collection Pack, enamel dots, Ephemera, Inspiration Station, keep it simple, Patterned Paper, stickers, victoria calvin. I love those cards. Keep it Simple Paper Crafts has the most amazing stamps and paper lines. Very bright colors love the look . Love the bright vivid colors! Your cards are always great and new. See you at Pomona show.